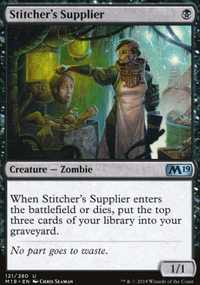 Does Cryptbreaker and Diregraf colossus generate 2 token zombies? 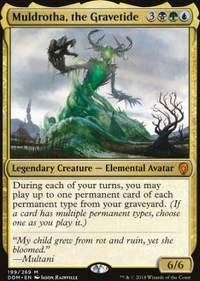 Exactly what does Cast a Zombie mean in regards to Diregraf Colossus? 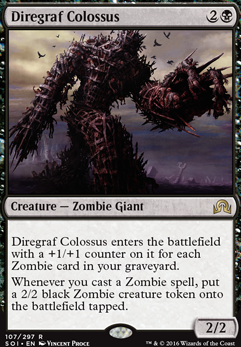 Diregraf Colossus , who makes tokens who casting zombies. 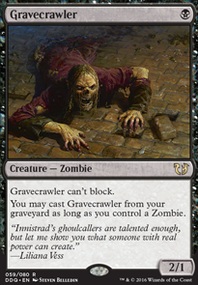 Open the Graves to make zombie tokens for killing off non-token zombies. 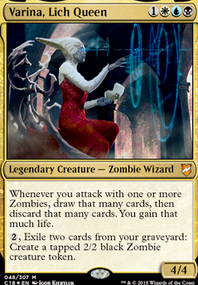 Grimoire of the Dead , is a nice win-con if you can get it off. Rise of the Dark Realms on an artifact. Kalitas, Traitor of Ghet is a nice mean zombie maker, though exiling an opponent's creature might ruin some other plans of yoinking their dead monsters away. 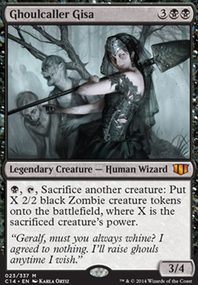 For value from sacking your non-token zombies, try adding a Grim Haruspex . Get some much needed card draw, which you're lacking a bit of. Also, try Victimize for even more revival. Just kill of a pathetic zombie token to get big boys back.